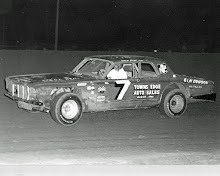 Belleville, Kan. (May 3, 1957) - Don White, the 1954 IMCA national stock car champion, set a new track and world record for 200 laps of one hour and 37 minutes for the Belleville half-mile in winning the first nighttime stock-car race ever held here on Saturday. White, driving in 1957 Ford, eclipsed the old track record of one hour and 42 minutes set by Bob McKim in a 1950 Oldsmobile in 1950. A crowd estimated at more than 4,500 was present for the race. Threatening rain and severe weather forecast a few hours prior to the race were credited with holding the crowd below a full house. 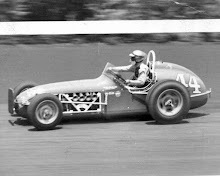 The previous track record for a single lap, set by Ernie Derr at 26.41 seconds in a 1954 Oldsmobile in 1954, was broken three times here Saturday. Bob Burdick in 1957 Ford holds the new single lap record of 25.96 seconds. Derr and Jules “Chub” Liebe both topped the old record with times of 26.22 seconds. 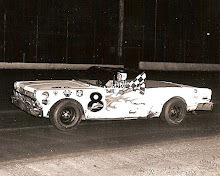 Finishing behind White was Lenny Funk inning 1957 Chevrolet, who finished 197 laps. In third place was Bob Burdick who nudged Bill Chennault. 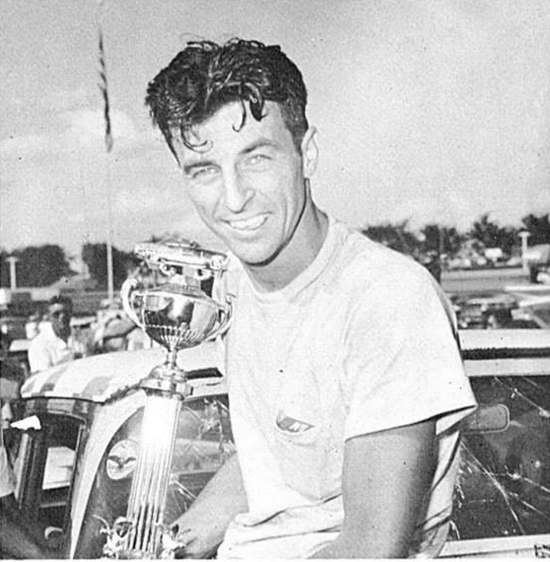 Chennault was writing in third place in his 1957 Chevrolet when he developed engine trouble on the 190th lap and was able to get within a half lap of the finish line when the race ended as White completed 200 laps. 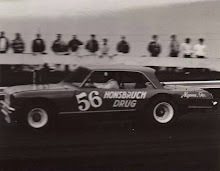 Chennault’s engine trouble enabled Burdick to make up enough laps to finish a half-lap ahead for third. The only accident of the race occurred about one fourth the way through the race as Ernie Derr in his 1957 Pontiac went through the fence as he was coming out of the south turn. 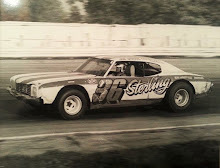 Derr was not injured and was leading the race with 44 laps when he went out. Most observers felt the night races worked out very well as with the race more than three fourths completed only four cars had dropped out.